Calvin Klein's sports bra is cut from sculpting double-lined stretch fabric and has an elasticated underband that provides support during your workout. 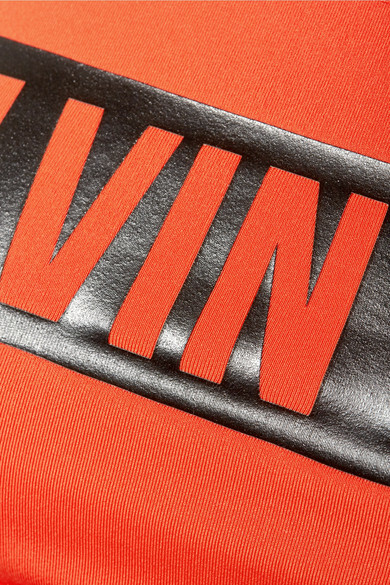 This bright-orange racer-back style is printed with the brand's logo across the front. Wear it with the matching leggings. Shown here with: APL Athletic Propulsion Labs Sneakers, MZ Wallace Tote.